Harcourts Wantirna originated with a vision to bring superior standards of sales processes with the highest quality marketing options for the first time in the City of Knox, through attention to detail, advanced technologies and raised quality control. 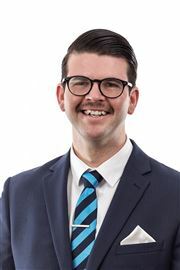 Our Director Archie is a hands on Principal working intimately at the front line with the Harcourts Wantirna team members ensuring you piece of mind and complete dedication to exceed client requirements. We work as one unit, as one large team with the neighbouring Harcourts offices and offer the most powerful network exposure and the most extensive support in achieving results. However, we do not stop with local resources like most real estate offices; we offer the Harcourts advantage of innovative cutting edge technology and systems linking us and your property throughout the National and International market landscape for unsurpassed market penetration that has seen us achieving results well above local market standards. We are the auction specialists with great results through our superior buyer management process and team personnel designed to orchestrate an ambient exciting and involving auction with class leading auctioneers. Our services includes- marketing specific for $1 million plus Prestige properties through our Luxury Property Selection Branding. 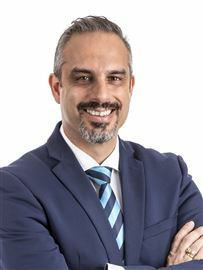 Here at Harcourts Wantirna, our Director Archie Mantsos has hand-picked and developed the entire team who are extremely loyal and highly skilled which includes a string of individual performers that are awarded as being “Top in their field” ensuring you have your valuable asset handled by the best people in the most optimum way! The Team have a Local affinity with the city of Knox both on a personal level and with family and friends residing here – sharing a passion for the Knox Real Estate market and view the area as one of Melbourne’s finest lifestyle locations. The high profile state of the art office offers superior visual exposure for passers-by to view our client’s properties for sale on the latest digital window displays. We are a complete Property Solution company that will offer 6 star service to all our clients with a focus to break the normal convention and set new standards for the area. Our entire focus is our clients and to support them through the emotions of buying and selling, leasing and renting through personalised communication making them feel at ease and as we guide them to realise their ultimate plans. If you want to discover the Harcourts International real estate experience, call Harcourts Wantirna office today on 9800 0100 today. A committed professional to Real Estate with approximately 20 years of experience in sales and marketing, the pride of winning his buyers and sellers accolades is paramount to Archie’s passion in doing the best that he can for his valued customers. Recognised both in the local market and at the National level as a TOP SALES Performer, Archie is a seasoned professional and adds the edge in the selling process of your home. A chequered sales career includes: Sales Rookie of the year 1988 National Top Sales Performer 2005 National Top Sales Performer 2006 National Top Sales Performer 2007 Gold Award in Sales 2005 – 2006 Sales Manager 2005 Director first office 2006 to 2012 Director and OIEC second office 2012 to current As hands on Director Archie feels compelled to pour his successful experience on your sales campaign. This ultimately provides total quality control for the sale of your home, as the owner is directly involved in your sale. In this instance Archie represents the elite 10% of sales people who are responsible for 80% of the commission fees generated in the industry. As a trainer and mentor in sales, Archie invests in his continual personal growth to be at the forefront of agency practice and ensures his team is of the highest calibre. 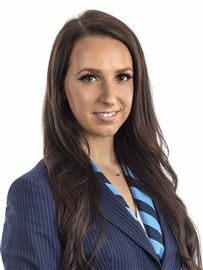 Bringing extensive real estate experience from various roles, Mikaela is a valued member of the Harcourts Wantirna team. With sales, management and marketing experience, Mikaela is an extremely versatile agent. Her sales experience allows her to assist our sales team when required to ensure all campaigns are run effectively. Mikaela’s management experience helps to ensure the office runs smoothly and provides guidance to all team members when required. 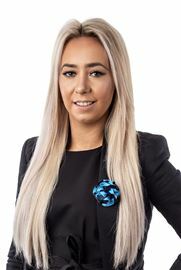 Overseeing all aspects of the office allows Mikaela to assist with all queries, both internally and externally. 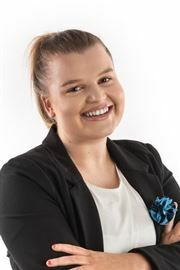 Organised and diligent with excellent attention to detail, Mikaela is determined to ensure that Harcourts Wantirna maintains their outstanding reputation in the City of Knox. Bringing a legitimate passion for property, sales agent Chris Hodge is a valuable asset to the Harcourts Wantirna team. 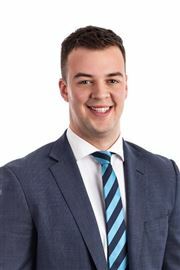 Born and raised in the South Eastern Suburbs, Chris has the thorough market knowledge that only a local can provide. He truly values the relationships he has with his clients and enjoys helping them get to their next stage in life; it is these qualities that enable Chris to provide first class service. Approachable, hard working, results-driven and determined, Chris is equipped to guide his clients through every step of the sales process. Born and raised within the area, Dean possesses a warm and attentive passion for real estate. His impressive customer service is firmly focused on maintaining standards of the highest level. Dean’s strong work ethic really shines through coming from a construction background, which has therefore enabled him to develop an outstanding reputation within his local community and clients – both sellers and buyers alike. With an honest, straightforward manner and an easy-going personality, Dean prides himself on his individual approach and ability to work within the Harcourts team to achieve exceptional outcomes. Dj prides himself in helping people to achieve their property goals and meeting their expectations is always his first priority. With strong negotiation skills, motivation and the ability to identify people’s needs. He enjoys maximising the return and realising the potential of every property Harcourts represent. Dj specially tailors marketing strategies to achieve extraordinary results for his clients. Patience, tenacity, building long-term relationships based on integrity and not just quick deals, these are the key elements to Dj’s success. 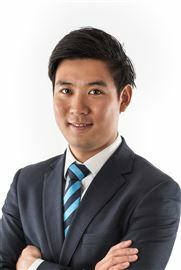 He is an extremely personable individual who enjoys meeting people from all walks of life - definitely someone to consider regarding your property requirements whether Selling or buying and for current market advice. 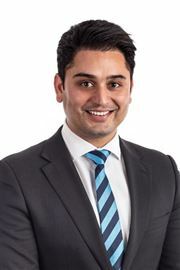 Speaking multiple languages including Hindi, Punjabi, English and living locally in Wantirna for in excess of 10 years, Dj has countless community ties and loves enjoying time with his family and friends. Enthusiastic, professional and personable defines Emilie as the moment she introduces herself- you can’t help but feel comfortable, at ease and confident you are in good hands. 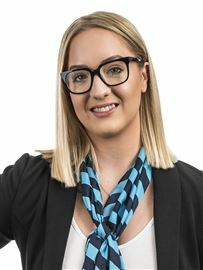 Emilie prides herself strongly in her excellent customer service skills winning the praise from her clients in the form of further recommendations and repeat business by ensuring every step of the sales process is seamless. 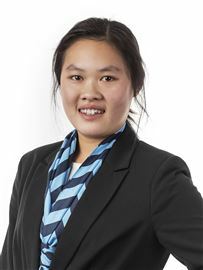 She has become the local area expert and ‘go-to’ person in the community with her superior market knowledge and extensive understanding of the real estate industry. Emilie’s dedication combined with the support of her dynamic team ensures clients will always have a professional and positive experience. 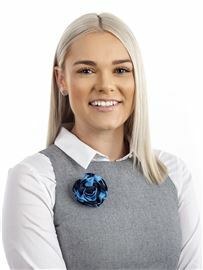 Well known and respected, her personable approach in her day to day dealings with clients has raised her to become one of the top nationally awarded agents within the Harcourts network. Always willing to put in the extra effort to make sure her clients are happy and always sincere in her recommendations and observations, Emilie’s focus is fiduciary to her clients and believes communication is the key. Possessing impeccable time management and organisational skills, as well as being a natural negotiator, makes Emilie a true professional and a real asset to your sales process. 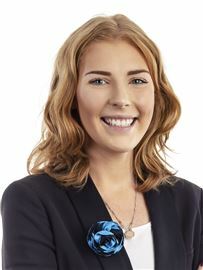 Emilie personifies today’s ideal real estate salesperson “Personable, warm and customer focused”. 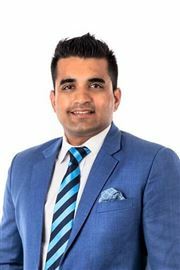 Having spent almost 8 years in the real estate industry building up his formidable array of skills and experience, David Mohan is the ultimate professional. Exemplary communication and a friendly demeanour are among the trademark qualities of David Mohan. Given any challenges or problems, David finds great satisfaction at devising the best solution to any given challenge. David’s polite and diplomatic style reflects his exceptional interpersonal communication skills, which have seen to build lasting business relationships with clients and tenants alike. Known for his prompt and clear communication, David's strengths include his genuine commitment and “never say die” attitude in delighting his customer with excellent service. 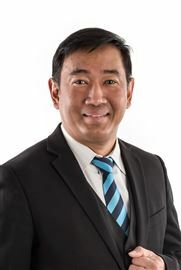 Fluent in English, Malay and Tamil, David always takes care to ensure that his clients are kept well-informed of their property matters, and they can trust that he has their best interests at heart. Having served in the Army for 22 years with a Rank of a Major, David is disciplined and knows how to deliver an exception service to his customers After a hard day’s work at the office, David likes to spend time playing the guitar and watching movies with his family. David is currently serving as a Board member at Lifegate Church of Christ. Sssh...Can You Keep A Secret?